Have you ever wanted to amass your vast collection of photos into a collage? But, having never created a collage before, you need a little push to get going? Well, today is indeed your lucky day, since today's discount software promotion, CollageIt Pro, will get you fully immersed into the joy of collage creation in no time! 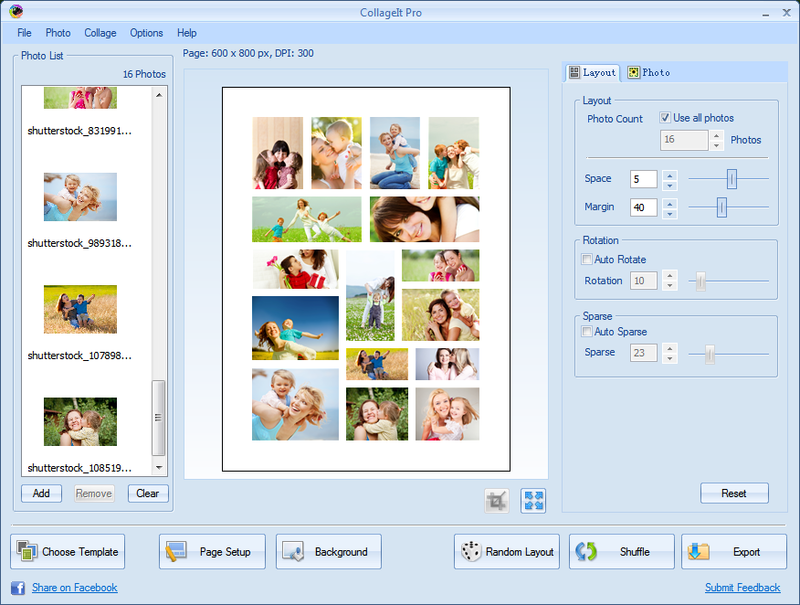 CollageIt Pro automatically generates collages from your digital photos in just few clicks, using up to 200 images. With CollageIt Pro, there's no wrestling with how to make it "look right", since the program is designed to give you the power to create beautiful collages in moments. No matter whether you're memorializing a vacation, a wedding, birthday party, or special trip, you'll find that the perfect way to preserve these memories is with a collage made with CollageIt Pro. Real time preview shows you how your collage is coming along, while an array of pre-designed templates means you'll be able to get up and running with CollageIt Pro in a snap. When you use CollageIt Pro, you'll always enjoy full control over multiple settings, ensuring that your collage will come out exactly as you envisioned it. Set the page size, photo count, margins, rotations, and more. Crop photos to highlight the areas you want to use. Throw in backgrounds, photo frames, and shadows for added impact. When you're done, save your collage as a JPEG, PNG, PDF, PSD, or other image formats! You can even send your collages to friends and family via email, or post it to Flickr and Facebook! 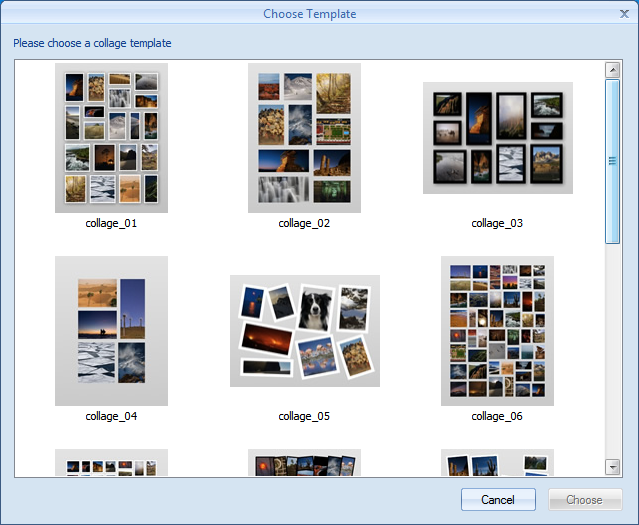 After you purchase CollageIt Pro it may be used indefinitely. CollageIt Pro is licensed per user, so if more people are going to use CollageIt Pro you will need to purchase additional copies. PearlMountain Sorry for the inconvenience that CollageIt Pro can't meet your needs. I think you may love our Picture Collage Maker. Picture Collage Maker allows users to customize their collages to a great extent while CollageIt excels with its ease of use and hugely reduces manual work. Sorry for the inconvenience that CollageIt Pro can't meet your needs. I think you may love our Picture Collage Maker. Picture Collage Maker allows users to customize their collages to a great extent while CollageIt excels with its ease of use and hugely reduces manual work. Rolinka Nuse bsolutely LOVE this program. Together with self made stock used for background and clipart, it is very versatil.